Paul McCartney is a British singer/songwriter/musician and was originally the bass guitarist with The Beatles, of course. 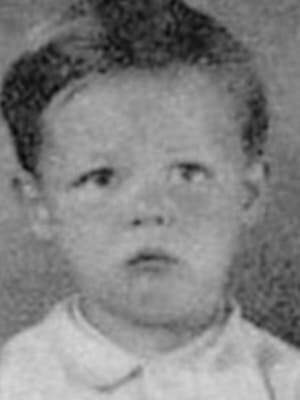 Paul was born in Liverpool on the 18th June 1942 with the full name of James Paul McCartney. In 1997, Paul received a knighthood from The Queen for services to music ans so became Sir James Paul McCartney. Paul’s mother Mary, was a midwife while his father James ‘Jim’ McCartney, was a volunteer firefighter in World War II when Paul was born. In 1955, the family moved to a house Allerton, 20 Forthlin Road which still exists. In fact, in 1995, the National Trust took ownership of the property. The National Trust still markets the property as ‘the birthplace of the Beatles’. This is because the composing and rehearsals of many early Beatles’ songs took place there. The McCartney family moved out in 1964 as Beatlemania kicked into gear. Paul’s father was a musician and indeed led the Jim Mac’s Jazz Band in the 1920’s. They had an upright piano in the living room and Jim would encourage his sons, Paul and Michael to play this. Indeed, Paul composed an early tune on this piano which later evolved into ‘When I’m Sixty-Four’. When Paul reached the age of 14, his dad bought him a trumpet. But Paul would soon trade this in for an acoustic guitar. Paul wanted to be able to play an instrument while singing at the same time. Since Paul uses his left hand to play, he had to reverse the strings on his guitar. He was then able to write and sing his first song called, ‘I Lost My Little Girl’. He also joined the choir at St Barnabas’ Church in Mossley Hill after his failed audition with Liverpool Cathedral at the age of 11. His first public performance was in a talent competition at the Bultin’s holiday camp in Filey, North Yorkshire. There he played a Little Richard song called ‘Long Tall Sally’ since American rhythm and blues had a big influence on him. Shortly after they moved into 20 Forthlin Road, while Paul was only 14, his mother died. This obviously was a great loss to him. When Paul met up with John Lennon there was a point of connection since John’s mother, Julia, died when he was 17. Paul was 15 when he met John Lennon who had a band called The Quarrymen. 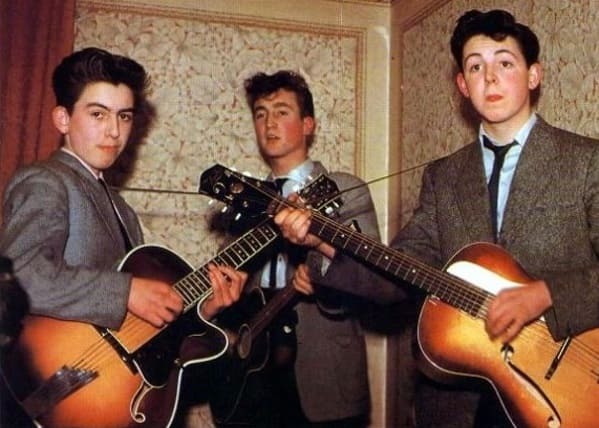 Soon after that meeting on the 6th July 1957, Paul became the rhythm guitarist for the band. The music they played then was a mixture of skiffle and rock and roll. In 1960, the band changed their name to The Beatles but not before trying other names such as Johnny and the Moondogs, The Beatals and The Silver Beetles. George Harrison was soon to join the band as the lead guitarist with Stuart Sutcliffe as bass guitarist and Pete Best on drums. The band would travel to Hamburg, Germany a few times as a resident group. Then, when Stuart Sutcliffe left the band, Paul reluctantly became the bass guitarist. They were also the backing band for British singer, Tony Sheridan. However, in 1961, when they recorded the song ‘My Bonnie’ with Tony Sheridan, the credit for the backing group was The Beat Brothers. This record caught the attention of a few influential people and in 1962, after Ringo Starr replaced Pete Best on drums and Brian Epstein became manager, The Beatles were to sign up to EMI. 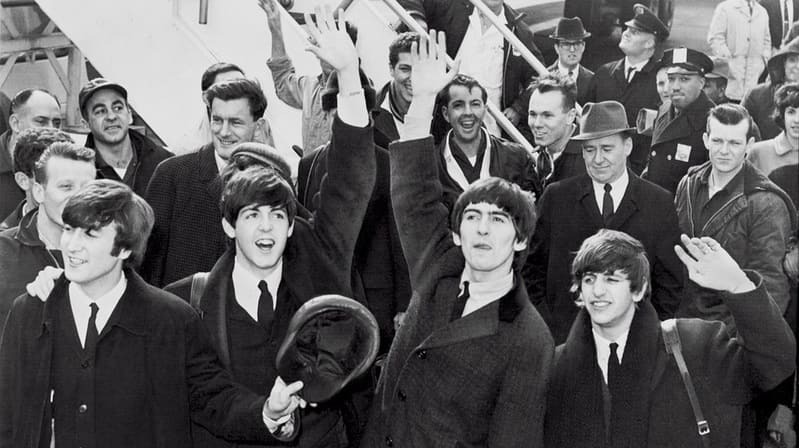 Of course, The Beatles then became the biggest and best band in the world. In 1967, a great hoax and conspiracy theory came to the fore. The allegations were that Paul McCartney died in a car crash in November 1966. So, The Beatles replaced him with a look-alike character. Conspiracy theorists slowed down songs and even reversed them in order to find clues. For example, in the track ‘Revolution 9’ we hear John Lennon repeat the words number 9 regularly. However, in reverse some people believe it says “turn me on, dead man”. Indeed, it was this piece that gave the conspiracy theorists their first clue. From then, they overlooked nothing. They would inspect everything from album covers to the colours of the interior record sleeves. The ‘Abbey Road’ album itself provide conspiracists with many clues. From the registration number on the parked VW Beetle to Paul being in bare feet. Of course, Paul McCartney didn’t die in a car crash, but some conspiracists still wont accept this. While still in Liverpool, Paul had a two and a half year relationship with Dot Rhone. They were due to marry but things didn’t quite go to plan after Dot suffered a miscarriage and the relationship ended. He then met actress, Jane Asher, in London. This was while The Beatles were performing at the Royal Albert Hall on the 18th April 1963. By November, Paul and Jane were living together in her parents’ home at 57 Wimpole Street, London. While living at the Asher’s home, Paul would write many songs including ‘Yesterday’. However, the couple would move into Paul’s home in St. John’s Wood, in March 1966 and they planned to marry. Then after a five year relationship, Jane broke off the engagement when she found out about Paul’s involvement with an American woman called Francie Schwartz. Paul also has a ‘secret’ relationship with model, Maggie McGivern, which lasted for three years until early 1969. Paul McCartney married American photographer and musician Linda Eastman in March 1969. The couple had met a few times, first at The Shea Stadium in 1966 and then formally at a Georgie Fame concert in 1967. Paul and Linda then formed the band, ‘Wings’ in 1971. Linda died from breast cancer in 1998 and the young are of 56. Together, the couple had three children and Paul officially adopted Linda’s daughter, Heather. In June 2002, Paul married Heather Mills and they had one child together called Beatrice Milly. However, they legally divorced each other in March 2008. Paul married American Nancy Shevell on the 9th October 2011 since being together as a couple in November 2007. Their marriage took place in Old Marylebone Town Hall, London with around 30 friends and relatives in attendance. This was indeed where his first wedding took place in 1969. The individual Beatles were heading in different directions in the late 1960’s. By the time they recorded The White Album, this became more noticeable. However, The Beatles continued recording together right up to 1970 when they finally broke up. By this time, the marriage of Paul and Linda Eastman was still going strong. In 1971, drummer, Denny Seiwell joined up with Paul and Linda to make some recordings. 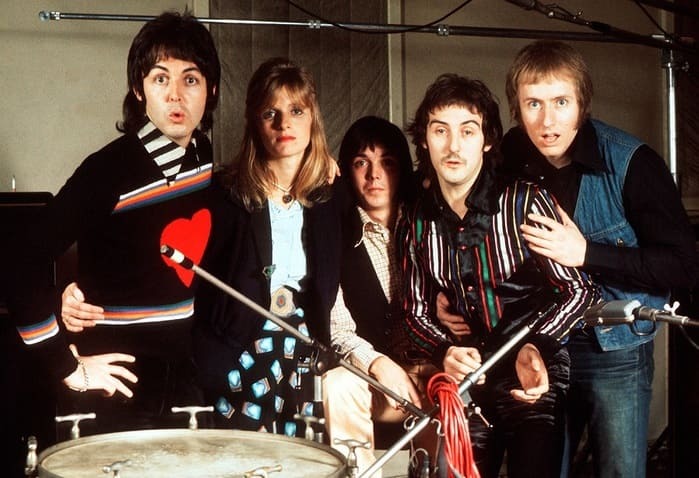 Then in the same year, guitarist, Denny Laine, joined the trio to form the band ‘Wings’. The band released many albums and were a massive success. Perhaps their best song was ‘Mull of Kintyre’ from 1977, which at the time, was the biggest selling single ever in the UK. Wings disbanded in April 1981 after Denny Laine quit the band. Paul McCartney is a multi-talented musician and can play many instruments. When The Beatles broke up in 1970, Paul had the option of continuing with a music career or giving in. However, Paul loves music so much that we are very lucky to see his career go from strength to strength. Firstly as a solo artist, then with Wings and back to a solo act. 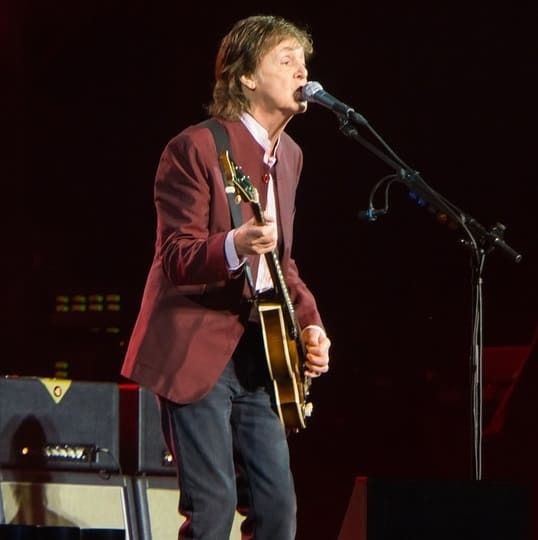 The enthusiasm and energy that Sir Paul McCartney has becomes evident in his concerts and other performances. Indeed, he released an album in 2018 called ‘Egypt Station’ that has also went to number one in many world wide charts! Paul has become the ‘most honoured composer and performer in music’ according to the Guinness Book of World Records (1979). The same book in 2009 also gives Paul the title of the ‘most successful songwriter’. His song, ‘Yesterday’ has over 2,200 recorded versions making it one of the most covered songs ever. Paul McCartney is without doubt a genius. Using his musical talent and humour, he has given the world possibly more pleasure than anyone else ever. More popular that Jesus? Not quite, but very close! Paul McCartney is a living legend. His commitment to the Beatles could never be in any doubt. In fact, forget about others, Paul McCartney is the best musician ever. We have a living legend with us right now! Paul McCartney is my favourite Beatle. He always has been and always will be. I fully agree with Ringlet, Paul McCartney is with us now and is a living legend. His name will go down in history with the best of them.